Debt collection is a legitimate and necessary business activity where creditors and collectors are able to take reasonable steps to secure payment from consumers or businesses who are legally bound to pay or to repay money they owe. It is important that any organisation involved in recovering debt is aware of their legal obligations. If you need legal help regarding debt recovery, please complete your free legal enquiry form on the left, or click here. A further alternative is to issue a statutory demand promising an application to court for the formal winding-up of the debtor's business/company if payment is not made within 21 days. There are various ways of getting your debtors to pay on time. However, despite your best efforts, you may find that some still end up paying late. If this happens, you should get in contact with them to resolve the issue and review your procedures to reduce the possibility of customers paying late again in future. Your choice may depend on who the debtor is, the size of the debt and how late the debt is. Letters Before Action or Legal Letters of Demand are very cost-effective. They are used to secure payment, or to obtain a response from your customer before the commencement of a claim. In the current economic climate it is only natural if your business is feeling the pinch. Your bank may have withdrawn your overdraft facility and you may be experiencing pressure to pay up from your own suppliers. The fact that your clients may be struggling as well only makes it more important that you consult a debt recovery lawyer as early on as possible. If you need legal help from a debt recovery lawyer, please complete your free legal enquiry form on the left, or click here. Why use a debt recovery lawyer? Pursuing debt is obviously important for maintaining sufficient liquidity especially in the current economic climate. Small debts can quickly become something more substantial making it important to use a debt recovery lawyer. You also need to demonstrate to other debtors that you’re willing to take action. Before consulting a debt recovery lawyer, it is a matter of balancing this against the consideration of maintaining a commercial relationship. 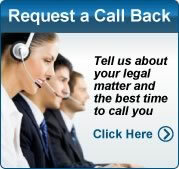 Debt recovery lawyers are not your only option. At the other end of the spectrum are organisations that do the work in bulk without really providing any advice. Where a debt recovery lawyer adds value is in suggesting credit management, assessing the recoverability of debt and in continuing to act if proceedings become contested after the making of a court statement of claim. A debt recovery lawyer will begin by sending the other party a pre-action letter such as a legal letter of demand. If this does not resolve matters, then there are two options: either to go through court or to serve a statutory demand as a precursor to bankruptcy or winding up. We recommended using a debt recovery lawyer who is robust and able to deal with information and court deadlines promptly. It is also important that they are someone you feel comfortable with and who are easy to contact. Debt recovery solicitors should also understand the commercial reality of the situation and appreciate that it is about recovering money quickly and cost-effectively. As you are instructing a firm of solicitors and not simply a debt collection company, your debtor will know you mean business. Good preparation for meeting debt recovery lawyers can result in money savings. Coming with a chronology of events and a bundle of relevant documents can be useful for debt recovery lawyers. People are more cost sensitive these days and your debt recovery lawyers should be able to give an estimate at an initial meeting. However, the time it ends up taking a debt recovery lawyers depends on whether you get a positive response to the letter they initially send. If you have a debt recovery matter and need legal help from a debt recovery lawyer, please complete your free legal enquiry form on the left, or click here. What can I do to pursue a debt? Debt collection is a legitimate and necessary business activity where creditors and collectors are able to take reasonable steps to secure payment from consumers or businesses who are legally bound to pay or to repay money they owe. It is important that any organisation involved in recovering debt is aware of their legal obligations. You should treat debtors and third parties fairly and with respect and courtesy. You should never harass or coerce them, treat them unconscionably or mislead them as to the nature of their debt, their legal obligations or any possible outcomes if the debt is not paid. You should also not pursue a person for a debt unless you have reasonable grounds for believing the person is liable for the debt. or for other similar purposes. You may also contact a debtor at the debtor’s request. The ACCC and the Australian Securities and Investments Commission (ASIC) have jointly developed a guide for those involved in debt collection. This guideline reflects the ACCC’s and ASIC’s view of how relevant provisions of the Competition and Consumer Act and the ASIC Act apply to debt collection conduct. The guideline contains information on the role of ASIC and the ACCC in the area of debt collection, an overview of other relevant statutory and common law obligations and remedies not administered by the ACCC or ASIC, and practical guidance for collectors and creditors in the areas listed below. The Australian Consumer Law, which is contained in a schedule to both the Competition and Consumer Act 2010 (enforced by the ACCC and state and territory consumer protection agencies), and the Australian Securities and Investments Commission Act 2001 (enforced by ASIC), contain three general prohibitions that may be relevant to debt collection activity. to support a demand for payment for goods or services/financial services is deemed unacceptable and is prohibited. These provisions are not limited to conduct directed at a debtor. They also apply to the collector’s conduct towards a third party (for instance, a family member). Collectors are prohibited from making any statement or engaging in any other conduct (for example, impersonating someone, or using a false letterhead or document) that is misleading or deceptive or is likely to mislead or deceive. Collectors may breach this prohibition even though they do not intend to mislead—it is enough that the misrepresentation is likely to have this effect on the type or class of person to whom the conduct is directed. In some circumstances, a collector may need to positively disclose information to avoid creating a misleading impression. Collectors risk breaching this prohibition particularly when they exert undue influence or pressure on, or unfair tactics against, a debtor who is specially disadvantaged or vulnerable. Every debt is different and each case needs to be considered on its merits. A tailor made approach and tactics appropriate to the particular type of debt is applied to collect your money as quickly as possible. Debt Recovery Lawyers endeavour to collect your debt without recourse to legal proceedings through letters before action, telephone calls to the debtor, negotiation and where necessary issuing a statutory demand which can be the first step in either bankruptcy proceedings or liquidation proceedings depending on whether the debtor is an individual or a company. Debt Recovery Lawyers have extensive experience in litigation. However, it is always the last resort and legal proceedings will never be issued without having first discussed with you the merits of the case and the likelihood that litigation will bring a successful outcome. Furthermore, legal proceedings are not issued unless you specifically instruct your lawyer to commence legal proceedings. Why is having the right debt collection letters for your business so important. Ask any business what its biggest challenge is and, chances are, you’ll be told it’s the relentless drive to win new business. Whether it’s identifying new prospects or targeting existing customers, there can be no let up in the quest to get more orders on the books. Failure to build up the customer pipeline will inevitably result in a disruption to cashflow – and that can prove disastrous for any business. But winning new customers doesn’t, in itself, guarantee business success. There’s another, more frustrating, challenge to contemplate, and one that is completely out of your control: your customers’ failure to pay. Picture the scene: you’ve been working night and day on a critical project for a customer, putting in hours and effort well beyond the call of duty just to ensure that your customer achieves its own targets. You meet the deadline and your customer is delighted, but 30 days after issuing your invoice, you’ve still not received payment. A quick phone call to the customer may be met with any one of the following responses: ‘we haven’t received the invoice, please can you reissue’, or ‘the computer is down’, or ‘suchabody is on holiday/off sick’, or any other manner of uncreative excuses. You may then be lucky and receive your payment but, increasingly, such excuses are just used by customers as delaying tactics. After all, holding on to your money is a cheap way for them to get what is, in effect, a loan. And it’s not just small businesses that employ the late payment tactic: outstanding invoices from large companies are often a business’s biggest asset. So what can you do? Overdue bills are a time-consuming headache, expensive to collect on your own and divert your attention away from your core business. Nevertheless, it is inevitable that somewhere along the line you are going to end up chasing your invoices. The best thing you can do is to put your own debt recovery procedure in place to give yourself every chance of getting your money back at the lowest cost to you. This process should include one or two ‘friendly’ phone calls, followed by email, letter or fax to the customer giving reminder of the outstanding payment and your payment terms. A commercial lawyer can help you set the procedure up and provide you with templates for initial reminder debt collection letters. But if your reminders are still failing to produce a payment, then it’s time to get serious. Okay, none of us really likes to upset customers by getting overly ‘heavy’ with them. After all, firing off a series of legal letters is hardly conducive to future business relations. But let’s face it, we’re talking about a customer who has refused to pay you what you are rightly owed and who is, therefore, potentially jeopardising the financial stability of your business. Do you really want to do more business with them? Your focus now has to be on doing everything you can to get your money as quickly as you can. And the best way to do that is to seek the help of a commercial lawyer. A lawyer will have a full understanding of the legalities involved and the experience required to tailor an approach specifically to your requirements, thus increasing the chances of a quick settlement. And, of course, a lawyer can be relied upon to file a claim and conduct proceedings in a professional manner at all times. Your lawyer will help you debt collection letters and draft a Letter Before Action on your behalf, clearly setting out what is required from the customer and threatening legal action should the customer not oblige within a set time frame. For many customers, a lawyers letterhead and the merest hint that legal proceedings may be taken against them is enough to get them running for the cheque book. However, should you have a particularly reluctant customer, a lawyer is obviously best placed to take the matter further, and to court, if required. -take unfair advantage of any vulnerability, disability or other similar circumstance affecting you (this is known as unconscionable conduct.). The information below will help people who are currently dealing with debt problems or being contacted by debt collectors. It outlines your rights under the Commonwealth consumer protection laws, as well as general advice for those who are having difficulties with their level of debt. The types of conduct set out below are likely to breach consumer protection laws, and may breach other laws as well. This is not a complete list. If you experience any of these behaviours (or other similar misconduct), you should take action. If you are confronted by extreme conduct, report it to the police immediately. -enter your property when you have refused permission, or fail to leave when you ask them to. -contact you more frequently than necessary or at unreasonable times,for example, it is unacceptable to keep phoning you without a break or to contact you late at night or at other unreasonable times as a way of demoralizing or exhausting you. -make other persistent contact or unreasonable disturbances. engage in conduct that draws people's attention to your situation (e.g. send open letters to a shared post-box, leave messages that others may listen to, make their identity or purpose known to people you work with again, such actions may also breach privacy laws). pretend to be (or pretend to act for) a solicitor, court or government body. take unfair advantage of you if you are ignorant of the law, the debt recovery process, or the consequences of not paying a debt. The Australian Competition and Consumer Commission (ACCC) and the Australian Securities and Investments Commission (ASIC) look after the Commonwealth laws that protect people from undue harassment and other illegal debt collection conduct. You should report harassment that is serious and/or ongoing to the ACCC or ASIC, or to the consumer affairs or fair trading agency in your state or territory. Conduct involving assault or threats of violence should be reported to the police. Jump to ‎: The Australian Consumer Law, which is contained in a .. prohibitions that may be relevant to debt collection ..
What are ASIC's and the ACCC's responsibilities for debt collection? In March 2002, as part of the Financial Services Reform Act 2001 reforms, the Government ..
Debt collection guideline for collectors and creditors: joint ..
Debt collection guideline for collectors and creditors: joint .. Securities and Investments Commission Act 2001 apply to debt collection conduct. Debt collection guideline - Australian Securities and Investments ..
debt recovery processes' on p. 6. Note: this guideline does not seek to deal with law on mortgages and other securities or guarantees. Why has ..
6 days ago – SDRO administers the NSW fine enforcement system and is responsible for the receipt and collection of outstanding fines and penalties. Changes to the Retail Trading Hours Act · Corporate .. Generally, your debt collection options include: .. In looking at your debt recovery options consider: ..
Judgement Debt Recovery Act 1984. .. To find the Judgement Debt Recovery Act 1984 visit the Victorian Law Today Library search page. Tips for searching ..
Debt collectors must act within the law when recovering debts. This means they must obey laws that are designed to protect you from misconduct. Under these .. However many of the laws and principles discussed will also be relevant to the collection of corporate or business debts. Relationship with court debt recovery ..
debt collection practices in Australia. This is despite significant efforts by all stakeholders to ensure compliance with consumer protection laws. These reports ..
6.7.2.40 Debt Recovery by Legal Proceedings. Summary. SSAct section 1232 provides that the Commonwealth may take legal proceedings in a court of law to ..
looks at how the law regulates the collection of statute-barred debts. (Section 3). • summarises the results of ASIC's industry survey (Section 4); and. • identifies ..
effect of bankruptcy on debt,; recovery action as a creditor,; debt becoming irrecoverable at law,; debts due to fraud may still be recoverable, and; repayment of ..
Complaint handling; Court Judgments; Crime; Death or Incapacity; Debt Recovery; Fines; Going to Court; Grants; History of Law in NSW · Jury ..
ALRC Report 36, Debt recovery and Insolvency, arose from the same reference as Insolvency: The Regular Payment of Debts (ALRC Report 6) ..
Office of State Revenue, State Debt Recovery. Skip to content .. Authority to act form for a penalty notice or enforcement order. To help us ..
Business Continuity and Disaster Recovery .. Information on relevant consumer protections laws and your rights and responsibilities as a debt collector will also .. It cannot be used to offset other CCB debts, FTB reconciliation debts or other FTB debts. Act reference: FA (Admin)Act section 82 Methods of recovery, section .. Offender Debt Recovery. Queensland law allows the Department of Justice and Attorney-General to recover monies paid by the state to victims ..
7.2.6 Debt Recovery by Legal Proceedings. Recovery by legal proceedings. A debt (1.1.D.60) may be recovered by legal proceedings in some circumstances. 6 days ago – Office of State Revenue, State Debt Recovery. Skip to content .. Our authority is outlined in the Fines Act 1996. ABN number 77 456 270 638 .. The debt may be recovered from them by legal proceedings, or a further garnishee notice and they may have to pay penalty interest. Act reference: SSAct ..
- Judgment Debt Recovery Act 1984. No. 10063 of 1984. Version incorporating amendments as at 14 February 2008. table of provisions ..
PS LA 2011/14 - General debt collection powers and principles (As ..
broad principles underlying our approach to the collection of tax debts ... (iii): we adopt the full range of appropriate collection options covered in Law ..
M and Law Firm  AICmrCN 7 - Case Notes; Office of the ..
A law firm, acting on behalf of the complainant's former utility service provider, commenced debt recovery with the complainant. TREASURER'S INSTRUCTION 5 DEBT RECOVERY AND WRITE ..
public authority or impact of a state law has caused a person or entity to incur an unintended debt, the recovery of which would result in an overall loss to ..
Guide to Social Security Law Version 1.183 .. Summary. This topic discusses debt recovery by way of deductions from the debtor's social security payment. 4.3.4.30 Time Limits for Debt Recovery - Legal Proceedings ..
4.3.4.30 Time Limits for Debt Recovery - Legal Proceedings & Garnishee Notices. Summary. Debt recovery action for the recovery of a debt by legal proceedings .. This privacy statement applies to pages on the State Debt Recovery Office .. In the course of administering NSW revenue laws, OSR collects .. In 2004, Victoria Legal Aid conducted a review of debt recovery law and practice in Victoria, focusing particularly on recovery of small consumer debts ..
A time limit applies to the recovery of debts under FA legislative provisions. Act reference: FA(Admin)Act section 84A Setting off FA against debt owed, section 86 ..
Australian Government departments and agencies MUST pursue recovery of debts unless: the debt has been written off as authorised by an Act, or; the Chief .. If an approved child care service owes a debt, the debt may be recovered by offsetting the debt against advances paid to the service under Family Assistance Act ..
Debt collection practices in Australia: summary of stakeholder ..
Overview of the Trade Practices Act · Expand or contract this item .. Debt collection practices in Australia: summary of stakeholder consultation .. If an amount is recovered from either the original debtor or the garnishee debtor, the amount reduces the balance of both debts. Act reference: FA(Admin)Act ..
Request a review - State Debt Recovery Office - The Fines Division ..
Office of State Revenue, State Debt Recovery ... SDRO will respond to the person named on the notice, unless we also receive an 'Authority to Act', in writing or ..
Debt recovery and the privacy principles. The Information Privacy Act 2009 (IP Act) contains a number of privacy principles which set out the ..
PS LA 2011/7 - Settlement of debt recovery litigation (As at 14 April .. The timely collection of taxation debts is predicated on an evaluation of risk to payment of these liabilities after they fall due. 2. Law Administration Practice ..
time to time by the Debt Recovery Committee, refer the matter to its legal section to commence recovery proceedings in the Federal Court of Australia. 7.3. Other legal obligations and remedies - Consumer Protection ..
Laws governing people working as debt collectors .. This Act concerns limitation periods on debt recovery actions. It prevents a creditor from ..
- The Law Clerk/Recovery OfficerDebt Recovery Officer is accountable to the Assistant Crown SolicitorManager, Victims of Crime and Debt Recovery Unit and ..
30+ items – The debt collection guideline: the public consultation process ..
Due Dates. Chapter 15 Part 7 of the Local Government Act 1993 sets out the .. The following procedure is to be employed by Council's Debt Collection Agency: ..
c) Recovery of other debts. .. recover these debts in an efficient and effective manner. .. Legal action be commenced after a further fourteen (14) days should the .. While there are a number of formal and legal avenues for recovering bad debt, the best way to manage it is by preventing it from occurring in the first place. The 'Authority to Act' form is available at www.sdro.nsw.gov.au, or by contacting us. .. See over the page for full State Debt Recovery Office contact details. CANBERRA ACT 2600. Dear Minister. I am pleased to present to you my report of the Review into the Tax Office's Small Business Debt Collection Practices. Debt collectors are not allowed to come to your house or phone you demanding payment between 10.00 pm and 7.00 am each day and not at ..
With strengths in: debt recovery, insolvency (personal and corporate) and letters of .. and Accountability Act 1997 in relation to the recovery and write-off of debt. Owing money to Centrelink or the Family Assistance Office ..
Are there any other overpayments that can be recovered from my payments from Centrelink or the Family Assistance Office? .. How do I avoid getting a debt? in accordance with this or another Act: and. • as appropriate in order to carry out its functions under this or another Act. Policy. Debt Management and Recovery ..
Debts that are irrecoverable at law. A debt can only be written off as irrecoverable at law in the following circumstances: the debt cannot be recovered by ..
To fulfil the statutory requirements of the Local Government Act, 1993 with respect to the recovery of rates, charges and other debts;. • To maximise collections of .. Under Section 47 of the Financial Management and Accountability Act 1997 (the FMA Act), the Commonwealth must pursue recovery of all debts for which it is ..
What powers does Centrelink have to recover a debt? Centrelink has a wide range of powers to recover social security debts, including the ..
Part 8 State Debt Recovery Office. 113 Establishment of State Debt Recovery Office. (1) There is established by this Act a body corporate with the corporate ..
Debt Recovery and Insolvency (ALRC Report 36) - Australian Law ..
ALRC Report 36 (tabled 21 October 1987) arose from the same reference as Insolvency: The Regular Payment of Debts (ALRC Report 6). 6. Mendelsons act primarily for clients referred through from Prushka and handles work exclusively in the debt collection and legal enforcement ..
Forms and factsheets for penalty notices - State Debt Recovery ..
Office of State Revenue, State Debt Recovery .. Authority to act: Permission for someone else to act on your behalf - for individuals. Authority to ..
Information Sheet 119 How do I deal with debt collectors? What is unacceptable behaviour by debt collectors? The types of conduct set out below are likely to breach the law. If this happens to you, you should make a ..
regulatory framework with seamless laws and enhanced consumer protection provisions. Late in 2009, it was agreed that regulation of debt collection would be ..
An arrangement may be made with the debtor to recover a FA debt (1.1.D.60) by .. Act reference: FA(Admin)Act section 91 Arrangements for payment of debt by ..
Australian Securities and Investments Commission - 11-279AD ..
Publications > Media Centre > ASIC review: EDR schemes handling of complaints when members commence debt recovery legal proceedings ..
7. Australian remedies: debt and insolvency - Australian Law Reform ..
7.1 The previous chapter outlined the principal factors in Australian law and .. 7.2 This section considers the remedies available for debt recovery against assets .. The purpose of this debt recovery policy is to set out the principles and .. The Local Government Act 1993 (hereinafter referred to as the Act) provides for ..
A debt is taken to be irrecoverable at law if the debtor is discharged from .. who has a social security debt is declared bankrupt, all recovery action must stop. Review of the Debt Recovery Process - NSW Department of Premier ..
October 2010 · Final Report of Review of the Entertainment Industry Act 1989. October 2010 .. Review of the Debt Recovery Process. On 26 October 2010, the NSW .. Unrecovered debt is an issue in most societies. For individual and small ..
Ulmarra Shire Council Debt Recovery Policy. Nymboida .. To fulfil the statutory requirements of the Local Government Act, 1993 with respect to the recovery of ..
1:02:28 General Policy DEBT RECOVERY POLICY Intent To ..
Each debt will be assessed to ascertain the ability to recover and if a solicitor will be required to act on Council's behalf. • When the amount of the debt is less ..
Business Continuity and Disaster Recovery .. Consumer Protection Laws .. If you wish to recover your debt through legal proceedings be aware that, in some ..
FTB debts may be recovered from the debtor's or another consenting .. Act reference: FA(Admin)Act section 87 Application of income tax refund owed to person, ..
To fulfil the statutory requirements of both the Local Government Act, 1993 and Local. Courts Act, 1970, with respect to the recovery of rates and other debts. 1.4. A debt may be written off for an indefinite period. .. As a general rule, the recovery powers in social security law (withholding, garnishee and legal proceedings) ..
state fair trading laws include prohibitions on misconduct associated with debt collection activities. These provisions are currently being .. Web Links and Legislation. Fines Victoria · Judgement Debt Recovery Act 1984 · Penalty Interest Rates Act 1983. Return to normal view ..
Chapter 26 - Deciding not to pursue recovery of taxation debts .. The content of Chapter 26 has been transferred into Law Administration Practice .. Chapter 26 was first published in the Policy for Collection of Taxation Debts ..
- Prescribed forms already apply under the National Credit Act and the use of this readymade base would serve the debt recovery industry well .. Complaints about misconduct by debt collectors .. General consumer protection laws are regulated by the ACCC and state and territory consumer protection ..
SDRO Review Guidelines - State Debt Recovery Office - The Fines ..
Office of State Revenue, State Debt Recovery .. From 31 March 2010, the law requires that SDRO cease considering any request for review ..
Privacy Act. As such, they are misplaced. These matters are best dealt with in a Debt. Collection/Management Code of Practice. • Attempts to apply the UCCC .. Application for debt recovery proceeding – Queensland Building .. Application for debt recovery proceeding – Queensland Building Services Authority Act 1991 – page 1 of 6. Refer to attached instructions at the front of this ..
Having Your Enforced Fine Decided in Court with Annulment ..
the State Debt Recovery Office (SDRO) that there is other just cause to consider your application. .. Decided in Court. (Section 48 of the Fines Act 1996). Note: ∎ ..
CASSOWARY COAST REGIONAL COUNCIL POLICY ..
Miscellaneous Debt Recovery. Policy Number: 2.3.3. Authority. Local Government Act 1993. Local Government Finance Standard 2005. Objective. To establish .. The content of Chapter 28 has been transferred into Law Administration Practice Statement PS LA 2011/4 Recovering disputed debts. Revision history: Chapter ..
4.2 This chapter provides an overview of the Tax Office's debt collection .... by corporations law to notify the Tax Office of the liquidation or administration. 6.7.1.45 Ten per cent Recovery Fee on Debts from False or Non ..
when required under a provision of the social security law, to provide information in .. The 10% debt recovery applies only to persons of working age on a social ..
SDR 014 – 05/09. Authority to Act (for fines). To authorise someone to act on your behalf note: ∎ Providing a false or deliberately misleading statement may lead ..
Policy relating to debt recovery for outstanding rates and charges, and other debtors. .. Act, 1989 are met, the General Manager Business Services will prepare ..
As for other debts under the SSAct, Chapter 5 provides the framework for recovering the debt. Act reference: SSAct section 23(1)-'assurance of support debt', ..
Tamworth Regional Council recently appointed debt recovery specialist SR Law to undertake debt recovery work. This financial year Council's ..
Remission of fines and driver licence disqualifications - Legal .. The State Debt Recovery Office (SDRO) has the power under section 101 of the Fines Act 1996 (the Act) to 'write-off' any unpaid fines. The content of Chapter 39 has been transferred into Law Administration Practice Statement PS LA 2011/7 Settlement of debt recovery litigations. Revision ..
- This Guidance Memo provides information on the debt recovery .. this agreement or at law or in equity, be recoverable by Us as a debt due to .. The Magistrates' Court of Victoria has jurisdiction to deal with debt recovery .. of the Civil Procedure Act 2010 and the applications foreshadowed by sections in ..
CORPORATE SUPPORT DOCUMENT NUMBER CORP-04 ..
Policy relating to Debt Recovery for outstanding Rates and Charges. Service .. Government Act 1989, the General Manager, Corporate Services prepare a ..
To ensure the efficient and effective recovery of outstanding debts whilst maintaining .. (1) of the Local Government Act. Arrangements will be for regular .. Buyers Guide – Debt Recovery Services CUA 19405. Department .... attempts are unsuccessful or not allowed by law, then it is the Contractor's ..
Chapter 1 was first published in the Policy for Collection of Taxation Debts .. Chapter 16 - Bankruptcy Act - arrangements under Part IX and Part X (Archived) ..
Rich Text Format - JUDGMENT DEBT RECOVERY ACT to pay a debt by instalments. These forms are: 1. Form 61A - Application for an order to pay by instalments (2 pages). 2. Choose to go to court - State Debt Recovery Office - The Fines ..
Office of State Revenue, State Debt Recovery. Skip to .. From 31 March 2010, the law requires that SDRO cease considering any request for review once a court ..
Review into the Tax Office's Small Business Debt Collection Practices - Summary of submissions and evidence 12 April 2005 .. The applicability of this law and other Commonwealth and State legislation to the conduct of debt collectors is examined in the ASIC-ACCC .. These laws include changes to consumer contracts for financial products, .. information on what steps the creditor can take to recover a debt. Office of State Revenue, State Debt Recovery. Skip to content. askGovernment · login · Languages. helpcontact us search. Home Payments ..
Form 27 - Application for debt recovery proceeding – Queensland Building Services Authority Act 1991 (PDF File, 444.9 KB). Form to be ..
Have you been convicted of a violent offence for which a financial ..
.. Victims of Crime Assistance Act 2009 the state may seek to recover .. date you should contact the Offender Debt Recovery Program within ..
Forms and factsheets for enforcement orders - State Debt Recovery ..
Office of State Revenue, State Debt Recovery. Skip to content .. (See Section 49 of Fines Act 1996 for grounds for annulment). Having your enforced fine ..
DISTRICT COURTS AND SMALL DEBTS RECOVERY ..
DISTRICT COURTS AND SMALL DEBTS RECOVERY. (AMENDMENT) ACT. Act No. 18, 1961. An 'Act to make further provisions with respect to the jurisdiction ..
Business Continuity and Disaster Recovery .. Debt Recovery .. In Australia, there are laws in place to protect consumers in relation to collection, namely, part ..
6 days ago – Office of State Revenue, State Debt Recovery. Skip to content. askGovernment .. WDO organisation authority to act · Checklist of supporting .. Many areas of the law apply to small businesses. These include: credit and debt recovery; employment and workplace relations; fair trading; insolvency ..
Debt recovery for business becomes a feature of financial management, and business proprietors can consider instigating legal action for the recovery of the .. Right to information - State Debt Recovery Office - The Fines .. The State Debt Recovery Office (SDRO) is the Fines Division of OSR. In NSW, the Government Information (Public Access) Act 2009 gives you the legal right to ..
Magistrates Court :  TASMC 29 Origin Energy Retail Limited v ..
Atkinson  25 CLR 381. Briginshaw v. Briginshaw (1938) 60 CLR 336, at p362 referred to. Kercher, Weule and Brading 'Consumer Debt Recovery Law' ..
6 days ago – Office of State Revenue, State Debt Recovery ... person you may need to send us an Authority to Act or Power of Attorney, before contacting us. Page 1 of 2. Application for Review of a State Debt Recovery .. information may be provided to third parties with your consent or as required or permitted by law. Centrelink prosecutions Declare it, don't wear it !! Administrative debt recovery action to recover the debt;. • Administrative penalty – add 10% to debts incurred .. identify and propose policy and law reform ..
Mr Tanzer said the effect of this law raised a critical question for creditors and debt collectors in that if legislation confers on a debtor the right to ..
- Mercantile Law - Statutory Obligation of Debt Recovery - Income Tax Assessment Act 1936. Mercantile Law - Statutory Obligation of Debt Recovery - Land tax .. If I take no action - State Debt Recovery Office - The Fines Division of ..
6 days ago – Office of State Revenue, State Debt Recovery .. which refers to the Oaths Act, available from your local newsagent, or at www.sdro.nsw.gov.au. ACCC institutes court action against lawyer over debt recovery ..
ACCC institutes court action against lawyer over debt recovery practices .. Also the Magistrates Court Act 1989 (Vic) and equivalent legislation ..
Online court election - State Debt Recovery Office - The Fines ..
Office of State Revenue, State Debt Recovery .. to request a review as the law requires us to cease any review upon receipt of a court election. Guide to Social Security Law Version 1.183 .. This section contains information relating to AoS debt recovery and incorrect payments and covers the following: ..
To comply with the statutory requirements of the Local Government Act 1993 in relation to the recovery of rates, charges and other debts on property. 3. Nominate the person responsible - State Debt Recovery Office - The ..
6 days ago – Office of State Revenue, State Debt Recovery .. points offences, companies and individuals are required by law to submit a correctly completed ..
Safety Rehabilitation and Compensation Act 1988 ACCIDENTS AT WORK .. an outcome; Social Security Act 1991 (Cth) CENTRELINK Debt recovery Waiver ..
NAMBUCCA SHIRE COUNCIL POLICY DEBT RECOVERY ..
Rates (Local Government Act 1993 Sect. 569). All costs involved with these applications are to be recovered (charged to rate assessment). 4.1.9 Debt recovery ..
Debt collectors operating in Western Australia must be licensed under the Debt Collectors Licensing Act 1964. This Act sets out licensing ..
Act 1999 (GST Act) was given Royal Assent on 8 July 1999. The. GST Act contains provision for regulations to provide greater clarity .... Debt collection services ..
ABSTUDY debt recovery decisions are made under the provisions of the (Student Assistance Act 1973). Customers who are dissatisfied with a .. The Tax Office is of the view that its debt recovery function is entwined with its lodgment management function. Under the tax laws, taxation liabilities are raised ..
.. legal issues guide may help. It covers problems you may encounter such as contracts, employment, fair trading, leases, insurance, credit and debt recovery, .. Employer debt established. Step 5. Debt collection progressing .. level of super that an employer must pay to eligible employees by law. .. Business Clusters Directory, Bicycle Information NSW, High growth videos and diagnostics (ATS), Emergency Management and Recovery (business.gov.au) ..
Procedure - Payroll Debt Recovery .. 396 of the Industrial Relations Act 1999 from the employee's wages for subsequent pay periods if - ..
'The relevant regulatory framework and the debt collection industry has changed a lot since the ACCC released Debt collection and the Trade Practices Act in ..
Seeking leniency due to a good driving record - State Debt ..
6 days ago – Office of State Revenue, State Debt Recovery. Skip to content. askGovernment · login · Languages. helpcontact us search. Home Payments ..
Overview of the Trade Practices Act .. Credit, debt & banking > Managing debts > Where to go for help with debt problems > .. produced a consumer brochure Debt collection: your rights and responsibilities in conjunction with ..
Civil Actions - Information for Self Represented Litigants - District .. In a property damage or debt recovery case, you must lodge a claim within 6 .. If the defendant believes he or she has a legal case against you, ..
Online Payment - State Debt Recovery Office - The Fines Division of ..
Legal action to recover a debt must be commenced within six years from the date when the debt first came about. If, during that time, the debtor ..
LawAccess NSW Guide to the Law - Banking and Finance ... The State Debt Recovery Office (SDRO) recovers overdue fines and penalties ..
Financial Accountability Act 2009 (Qld) External Link .. provides debt collection services for overdue accounts originating within departmental business units ..
Keyword Index Act Section Index · SS Guide | PPL .. 7.2.1 Debt Recovery - General Provisions .. 7.2.6 Debt Recovery by Legal Proceedings .. Roads and Maritime Services (RMS) Fines - State Debt Recovery ..
Office of State Revenue, State Debt Recovery. Skip to content .. Where can I find information on parking and traffic laws? How many demerit points do I have left ..
adhere to the debt collection guidelines developed by the Australian Competition .. legislation including the Queensland Local Government Act 2009 and Local ..
Act reference: SSAct section 1230C Methods of recovery of debt .. If the Commonwealth has tried to recover the debt by these means, and can show that the ..
Guide to Social Security Law .. The policy rationale behind AoS debt recovery is to ensure that recovery action begins as soon as practicable after the assuree ..
the debt cannot be recovered at law e.g. a debtor has died leaving no estate or insufficient funds in the estate to pay their debt; the person has ..
Law and Safety > Courts (Law) .. The FRU offers a case-managed debt recovery system, focused on assisting clients to manage their financial obligations to the ..
third parties with your consent or as required or permitted by law. You may correct or update personal information by contacting SDRO. State Debt Recovery ..
that professional costs for all debt recovery proceedings be charged. In addition to court fees, Council's in house legal professional costs will be ..
and equitable debt management policy exists to recover all Rating and .. Apply the provisions of the Act relating to the Sale of Land as and ..
- In 1994 Noonan argued that the complexity of debt recovery laws meant that the 'person in the street' was relatively ignorant of his or her rights. The complexity ..
second, to reduce the outstanding contribution or instalment; and. • finally, towards any recovery costs for the debt. A by-law that purports to impose a monetary ..
Authority to act - State Debt Recovery Office - The Fines Division of ..
Office of State Revenue, State Debt Recovery. Skip to content. askGovernment · login .. Authority to act. Email a link to this page Print this page ..
Department of Local Government - Circular to Councils 04/08 ..
debt collection agencies, then there is a need to ensure that these .. assist them in meeting the requirements of the Trade Practices Act 1974. - The following debt policy provides guidance to the School Management for the recovery of all debts due to the Governing Council. 2. The debts due to the ..
- CLH is a licensed debt collection agency in all states of Australia, .. the National Debt Collection Act. An Australian Debt Collection Licence is a .. However, decisions regarding debt recovery matters are made under the Student Assistance Act 1973. As a result, an applicant's rights of review regarding an ..
Debt collection laws. By law, there are things you can and can't do to encourage debtors pay. If a debtor will not pay, you can contact them to ..
Courts (Civil Claims) Act, 1970, with respect to the recovery of rates and other debts. • Provide the process for debt recovery to ensure prompt recovery of all .. Please send your completed form within 28 days to the State Debt Recovery Office, .. Please tick in which States or Territories you have outstanding fines. ACT .. This fact sheet explains our firmer action approach to debt collection. .. Law, rulings & policy. Legal Database · Law · Rulings & ATO view .. Under what circumstances will Centrelink write off a debt? Debts can only be written off where: the debt cannot be recovered at law e.g. a ..
Debt collection;. ∎ Civil debt recovery; and. ∎ Stamp duty. Partnership law. 4.72. The LSNSW indicated that it has identified partnership law as an area ..
- The ATO's debt collection function (referred to as Debt Collection in this report) ... The various taxation laws provide for the automatic imposition of additional ..
RATES DEBT COLLECTION AND RECOVERY POLICY 2011. Policy Number: Date of Adoption. 21 December 2011. Date of Next Review: Date of last ..
by T Prenzler - 2002 - - Canberra ACT 2601. Australia. Tel: 02 6260 9221. Fax: 02 .. process servers (serving legal documents) and debt recovery agents—the latter two often licensed ..
Commonwealth Ombudsman Annual Report 2003-04 | Chapter 5 .. These same laws also provide for the recovery of debts, specifying what is a debt and what is a permitted method of recovery. To that end, there .. The scam involves practitioners receiving an email from an overseas individual seeking assistance in a debt collection or family law debt matter. If you agree to ..
Privacy statement. The information in this form is required by the State Debt Recovery Office (SDRO) to determine your application for someone to act on your ..
Maitland City Council Policy – Debt Recovery and Hardship ... the outstanding amount in accordance with Section 566 of the Local Government Act. 1993. Launch of Australian Collectors and Debt Buyers' Association Debt ..
those parties who breach the law and will be on the lookout for undesirable behaviour. But let me say, the ACCC's focus on debt collection ..
See especially Australian Law Reform Commission, Debt Recovery and Insolvency, Report No 36 (1987). 3. Law Reform Commission of Western Australia, ..
POLICY TRANSFER TO LAW ADMINISTRATION PRACTICE ..
Chapter 4 Introduction to Part B - The collection of taxation debts, PS LA .. Chapter 16 Bankruptcy Act - Arrangements under Part IX and Part X ..
of the Crimes Act 1900. ∎. Restrictions imposed by the NSW Roads and Traffic Authority or any other actions taken against you by the State Debt Recovery ..
Industrial Relations Act 1999 (Qld) External Link Chapter 11, Part 2, .. procedures. FNM-PR-005: Debt Collection /strategic/eppr/finance/fnmpr005/index.html ..
Law Handbook Home; Chapters A-F. ACCIDENTS .. Often debt collectors will include their costs in the amount being recovered. You may not ..
- The Commission's project on s. 60 of the Trade Practices Act in the context of debt collection was prompted, in part, by concerns raised by a number of consumer ..
Subject: Debt Recovery – (including write offs and credit adjustments). Current ... 5 of the Local Government Act 1993 (Sale of land for unpaid rates and charges ..
Council will operate effective billing and debt collection processes; .. In accordance with Section 184 of the Local Government Act 1999, Council may sell .. Need legal help with your money and debt problems? If you're worried about a money or debt issue, getting legal advice as early as possible can help you .. There are time limits for debt recovery. The current debt recovery process includes alternative dispute .. They include: the complexity of taking legal action for debt recovery; the time ..
FA(Admin)Act section 70 Debts due to the Commonwealth .. For discussion on the various methods of debt recovery, refer to 7.2 Methods of Debt Recovery. Legal fees (debt collection, eviction). • Work done on behalf of a .. transferred to a debt collection agency to pursue. Re-Entry to Public Housing ..
- Since that time, SMLS has partnered with Monash University Law Faculty, .. The debt recovery agent then instructs a legal firm to write letters of demand to, and ..
Service Officer (Debt Recovery) [NSW] ... of the policy and purpose of (the reforms to) the Migration Act 1958 (Cth) and Federal Court Rules to a high standard. Payment by instalments - State Debt Recovery Office - NSW ..
Office of State Revenue, State Debt Recovery .. online application unless you are a third party acting on someone's behalf via Authority to Act. .
Consultation paper 172 - Review of EDR jurisdiction over ..
when members commence debt recovery legal proceedings. ... able to handle complaints in the early stages of debt recovery legal ..
guidance for future changes to the taxation debt collection system. .. 1953, previously section 265 of the Income Tax Assessment Act 1936) with the legislation's ..
.. Office today announced the appointment of a panel of external collection agencies to assist with the collection of debt, .. Law, rulings & policy ..
Act No. 18, 1905. An Act to amend the Small Debts Recovery Act .. This Act may be cited as the " Small Debts Recovery. (Amending) Act, 1905," .. "Principal Act" means Small Debts Recovery Act, 1899. " Stipendiary magistrate ..
Act No. 104 of 2010 as amended. This compilation was prepared on .... proceedings and garnishee notices—time limits for debt recovery 144 ..
Australian Law Reform Commission .. Human tissue transplants, Insolvency and debt recovery, Insurance agents, brokers and contracts, Judiciary Act 1903 .. The creditor is entitled to recover payment from the guarantor. .. Consequential Act changes to existing accumulated HECS debts means they ..
information, privacy and intellectual property, and not disclose information of a confidential or proprietary nature unless bound by law. Debt Recovery. 1.3 .. The Commissioner's power to recover disputed debt is not an unfettered power. .. (See Law Administration Practice Statement PS LA 2011/23 Credit Interest.) ..
Grafton City Council Policy – Debt Recovery Policy. North Coast Water – Debt Recovery Policy with procedures. .. pending legal action. 4.4 ..
Commission of Enquiry into Poverty and which is entitled Debt Recovery in Australia. It is on this final Report that the Law Reform Commission has made the ..
- Standards are set by existing national laws and the ASIC/ACCC Debt Collection Guideline which supports the Australian Competition and Consumer Act ..
Letter of Demand. Consumer Protection Laws · Legal Proceedings. If you are unsuccessful in recovering the debt by consultation you may wish to issue a letter .. Grounds for requesting review of an enforcement order - State Debt ..
Office of State Revenue, State Debt Recovery .. on the circumstances when you can have an enforced fine decided in court refer to Section 49 of Fines Act 1996. .. the demerit points after you pay the fine to the State Debt Recovery .. the Crimes (Sentencing Procedure) Act 1999, the demerit points related .. Under the Act, recovery action may be taken where an overpayment has been made. The power to make decisions about debt recovery is delegated to certain ..
Media Release by the Treasurer, Building Societies, Credit Unions ..
- CCLC also operates the Insurance Law Service, a national service assisting consumers .. CCLC is aware of one bank, and a number of debt collectors who use .. Adopted Debt Recovery Policy. Page 1. Policy No: ... Fulfil the statutory requirements of the Local Government Act, 1993 and the associated Local. Government ..
Lawlink NSW: Appendix B - Some Other Limitations of Time .. Proceedings for recovery of moneys paid into prescribed account. Compensation to .. Contractors' Debts Act of 1897 (No.29). 6. Three months ..
Pty Ltd (Lion Finance), operate its businesses within the Debt Recovery industry. .. 1988 (Privacy Act), must be satisﬁed that, when cunver:-sing with a RE .. It might include recovery fees or expenses charged by the debt collector. .. For example, there are laws that stop debts being collected through ..
Law and policy .. Premiums > Premium payments > Premium and debt collection .. for the collection of premium and premium-related debts. In accordance with the Fines and Penalties (Recovery) Act 2001, the .. The FRU offers a case-managed debt recovery system, focused on ..
“This decision sends a clear message to the debt collection industry that .. there are state laws that could limit the amount of legal costs that ..
Law, rulings & policy .. Update on the ATO's debt collection practices .. Debt collection remains a key issue for tax agents, particularly those ..
6 days ago – Office of State Revenue, State Debt Recovery. Skip to content .. These are described in Section 49 of Fines Act 1996. You do this by sending ..
What other factors can affect your entitlement to loss of earnings .. The Commonwealth Government is empowered by law to recover money from TAC in order to receive: debt owed by a client (unrelated to a transport accident), ..
Act No. 104 of 2010 as amended. This compilation was prepared on .... proceedings and garnishee notices—time limits for debt recovery 145 .. The State Debt Recovery Office (SDRO) provides a processing service for .. 49 of the Fines Act 1996. .... Please note that under NSW law, if a person ..
Debt survival guide / Consumer Credit Legal Centre and Redfern .. Available in the National Library of Australia collection. .. Consumer Credit Legal Centre (Redfern, N.S.W.) 1988 Debt survival guide / Consumer Credit Legal ..
Law Week 2008 Events: Tuesday 1 April - Lawlink Corporate .. This page lists the Law Week events being held on Tuesday 1 April 2008. .. Bankstown; Information for small busnisses: Debt recovering in .. The Disability Legal Workgroup provides legal services to The Public Trustee .. of the law including property settlements, family provisions claims, debt recovery, ..
- .. may be adapted to meet a range of debt recovery and debt management job roles. ... Bankruptcy Act; Bills of Sale and Other Instruments Act; Cheques and ..
- 2. fulfil the statutory requirements of both the Local Government Act, 1993 and Civil Procedures Act 2005, with respect to the recovery of rates and other debts; ..
Where the compensation provisions do not apply, debt recovery may proceed against the deceased's estate under Chapter 5 of the SSAct. Act reference: SSAct .. If you don't believe you broke the law, you may want to elect .. Make sure you send your completed form to: State Debt Recovery Office, PO Box .. Unpaid Occupational Health and Safety Fines - State Debt Recovery .. These fines were not paid to the court and have been referred to the State Debt Recovery Office for enforcement under the Fines Act 1996. Naming the responsible person - State Debt Recovery Office - NSW ..
6 days ago – Office of State Revenue, State Debt Recovery .. country, you can choose to complete and send us an Authority to Act form to authorise a person .. Memorandum of Understanding (MOU) between the Federal .. The two courts share jurisdiction in areas of federal law. ... The Federal Court will also issue 'first notices' of debt recovery but subsequent debt recovery action ..
- The Local Laws unit manager/supervisor is responsible for debtor follow up and collection of outstanding debts relating to parking infringement notices. The State Debt Recovery Office (SDRO) has the power under section 101 of the Fines Act 1996 (the Act) to 'write-off' any unpaid fines. The Treasurer .. The Commonwealth Prisoners Act (Interim report) (ALRC Report 43) .. Debt Recovery and Insolvency (ALRC Report 36) - Published on 21 October 1987.
or agency unless you have given us permission or we are required by law. .. (Please refer to attached form for excerpts of Council's Debt Recovery Policy) ..
(b) the State Debt Recovery Office has extended the time for .. (b) an offence arising under a provision of any other law in respect of the .. But unfortunately, on some occasions, debt collectors go beyond what is reasonable and mislead, harass or act abusively towards consumers', ..
English (PDF) Law Access 1300 888 529 www.lawaccess.nsw.gov.au. State Debt Recovery Office enquiries 1300 138 118 www.sdro.nsw.gov. Specialising in: Business & Administrative Law, Accidents, Civil Litigation, Criminal Law, Debt Recovery, General Practice, Export Import, Personal Injury, Real ..
DEBT RECOVERY POLICY .. practicable following the debt being realised. .. As per Section 566 of the Local Government Act 1993, interest will accrue on rates ..
With a debt of $10000 or less, you can elect to make either a general procedure .. Recovery of costs. Court, service and .. Central Law Courts. 30 St Georges ..
- Central Debt Collection formal request .. We authorise the Department to act as an agent of the Governing Council in any negotiations and mediations over the .. Fines Act 1996 No 99 .. (1) The State Debt Recovery Office may make an order that all debts due and accruing to a fine defaulter from any ..
to recover outstanding tax debt. Our approach takes .. to clear your debt. For businesses, we .. Department, 3–5 National Circuit, Barton ACT 2600 or posted at ..
legal process relating to the recovery of outstanding debt when briefing .. This unit may be adapted to meet a range of debt recovery and debt ..
POLICY TITLE DEBT COLLECTION POLICY NUMBER POL .. Fully compliant with Victorian. Charter of Human Rights and. Responsibilities Act 2006. POLICY TITLE. DEBT COLLECTION. POLICY NUMBER. POL/CORP204 ..
Mendelsons Pru$hka - Submission to Options to Address Fraudulent ..
Mendelson is a CEO of Prushka Fast Debt Recovery Pty Ltd and is also a .. Australian jurisdictions and is focused on debt recovery work and legal ... Amending the law in this way would provide creditors with a much greater chance of ..
Guide to Social Security Law Version 1.183 .. the reasons for an SFSS overpayment,; SFSS debt (1.1. .. Debt recovery action is undertaken when: false or ..
1.5.1.4 Overpayments and Recovery .. 1.5.3.3 Debt Recovery and Compliance .. The Student Assistance Act 1973 and Data-Matching Programme (Assistance ..
Debt recovery for business becomes a feature of financial management and business proprietors can consider instigating legal action for the recovery of the ..
Consumer Credit Legal Centre (CCLC) is a community legal centre .. matters and policy issues related to consumer credit, banking and debt recovery. It is the ..
Protection of the Environment Legislation Amendment Act 2011 · Review of .. The State Debt Recovery Office (SDRO) Fixed Penalty Handbook ..
be exempt from legal action and additional debt recovery costs while negotiating a payment plan or while continuing to make .. appropriate by us sufficient to recover debt and meet future bills. We may accept .. the Trade Practices Act ..
Have you been convicted of a violent offence and ordered to pay ..
an offence relating to an act of violence and a criminal injury .. If you cannot pay the amount by the due date you should contact the Offender Debt Recovery ..
ACCC / ASIC debt collection guideline - Australian Securities and ..
for debt collection regulation at the Commonwealth level. It also takes account of: ▪ recent cases that interpret the law governing debt collection. ▪ changes to the .. Sections 227-229 of the BCCM Act state for an application to be .... to be able to ultimately recover any debt recovery fees from the debtor. 08-170 ACCC/ASIC debt collection phone-in day - Australian ..
'The Debt Collection Day is a joint-initiative to assist consumers who .. of privacy laws;; assignment or sale of the debt without notifying the .. Launch of Report & Guidelines on undue harassment and coercion ..
and coercion in debt collection, which are the outcomes of the Commission's project on section 60 of the Trade. Practices Act. Section 60 prohibits corporations ..
Debt recovery system. 13. INDEX .. Services Authority Act 1991 (QBSA Act). Our charter is to ... QBSA Act, for which the maximum penalty is $2000. ENGAGING ..
Register Interstate Judgment (S.E.P.Act -. CW). $ 60.00 Entry Of Default Judgment. $176.00. Judgment Debt Recovery Act (by Creditor) $44.00 .. If you don't believe you broke the law, you may want to elect (choose) to .. Make sure you send your completed form to: State Debt Recovery Office, PO Box 786, ..
(b) The Victorian Judgment Debt Recovery Act 1984. 3.10. (c) Orders under the New South Wales Local Courts. (Civil Claims) Act 1970. 3.15. (d) The ALRC's ..
imposed by the duplication of, and inconsistencies between, Federal and State/Territory laws. In this process, debt collection has been specifically identified as ..
7. ATO's differentiated approach to debt collection - Australian .. Therefore it is using a differentiated approach to its debt collection activities .. under the law in relation to superannuation guarantee penalties. The US “Fair Debt Collection Practices Act” was enacted in 1977, and incorporated by way of amendment into that country's Credit Code. joint project to revise the ACCC's publication Debt collection and the Trade. Practices Act, released in 19991. A draft of the revised publication .. This manual is designed to assist debt collectors to establish and maintain a trust account recording system that complies with the Debt Collectors Licensing Act ..
legal costs if these cannot be recovered from the Debtor or are not allowed by law. In all instances NO COMMISSION is payable on legal costs added to the debt .. In 2000, the Environmental Planning and Assessment Act 1979 (the Act) was amended .. The State Debt Recovery Office (SDRO) of NSW is responsible for the .. Both ASIC and the ACCC oversee laws which protect consumers from inappropriate behaviour by a debt collector. * 'Debt collection is a ..
Senate Rural Affairs and Transport Committee Inquiry into .. If the item is prohibited under the Quarantine Act 1908 or the Quarantine .. and Transport References Committee discussed the issue of debt recovery with AQIS .. Instructions for filling out a Statement of Claim - LawAssist : Lawlink ..
A claim for money to recover the value of your vehicle and other related expenses where your vehicle has been 'written off' and .. Mercantile Law - Sale of Goods and Services - Goods sold and delivered .. Debt of $3792 .. I understand that in accordance with Section 67 of the Local Government Act 2009 .. (Please refer to reverse of form for Council's Debt Recovery Policy) .. Tags: transport, boating, maritime, fines, law .. The State Debt Recovery Office (SDRO) is responsible for the receipt and processing of fines issued by various ..
Council will follow for its debt management and collection practices. The Policy will also assist in .. Government Act 1999. 4. Strategic Plan Link. This Policy has ..
New Laws give greater security to Farm Businesses - News ..
.. to farmers before commencing debt recovery proceedings commences on .. The new laws provide farmers with the security of knowing that, ..
Debt Recovery Offlce and the Raads and Traffic Authorities). .. In the context of NSW road law, the consequence of a failure by an issuing officer ta pr~perly ..
LawAccess NSW Guide to the Law - Banking and Finance .. information about money management, debt collection and bankruptcy, and more importantly assist ..
For example, this could involve negotiating hardship variations with creditors, providing information about credit legislation or debt collection laws or the pros ..
Act 1958. Today, the scope of the Act is limited to debt collectors and their sub-agents (called. 'commercial agents' in the legislation, and 'collection agents' ..
What is external dispute resolution (EDR) and how can it help me? If legal proceedings for debt recovery have already commenced (against you), you .. It does not cover the whole of the relevant law regarding that topic, and it is ..
- Reported bad debts are analysed to determine appropriate debt recovery method .. to debt recovery; rates, fees and charges; defamation legislation; law of torts: .. The ATO's current approach to debt collection .. power under section 260-5 of Schedule 1 to the Taxation Administration Act 1953; and which is ..
- The Act establishes a debt recovery procedure under which a person (typically a sub-contractor) who is owed money by a defaulting contractor, can obtain .. Situations may also arise in the course of particular debt recovery litigation .. Division 9 of Part VI of the Income Tax Assessment Act 1936 (ITAA ..
What is the State Debt Recovery Office (SDRO)? What can .. A fine is a financial penalty you have to pay to the government for breaking a law. unpaid rates under Section 713 of the Local Government Act 1993. All costs incurred in the recovery of outstanding debts will be included in the total debt and is ..
the complex nature of pursuing legal action for debt recovery;; the time taken for .. The review of the Entertainment Industry Act 1989 has been completed and .. The Act enables the Department to recover the compensation paid by .. of Justice and Attorney-General Offender Debt Recovery Program on ..
Jump to ‎: Debt collection systems. ATO's small business debt collection practices. ATO debt collection practices are of critical .. OBJECTIVES. To have a consistent approach to rates recovery and debt collection .. Section 6.56 of the Local Government Act 1995 states that:-. 1) If a rate or ..
Child support debts recovered from FTB payments are paid to the Child Support .. Act reference: Child Support (Registration and Collection) Act 1988 section ..
Social Security and Indigenous Legislation Amendment (Budget and ..
Social Security (Administration) Act 1999 8. Part 2—Debt recovery 13. Social Security Act 1991 13. Social Security (Administration) Act 1999 14 .. GUIDELINES FOR RECOVERY OF DEBTS. VIA CENTRAL DEBT COLLECTION. Section 106A of the Education Act part 13 states “the Director-General (Chief .. Linking Policy - State Debt Recovery Office - The Fines Division of ..
Office of State Revenue, State Debt Recovery .. To ensure your clients act on the most up-to-date information available, OSR strongly advises .. If legal action has been taken to recover a debt, and the Commonwealth has agreed to settle for an amount that is less than the full amount of the debt, the FAO .. The right to recover the debt from the agent arises prior to the act of termination. [dxlv] It would be usual for this action to be heard together with a claim for ..
of law relating to succession, powers of attorney and criminal law improves access .... collection, civil debt recovery and stamp duty would be a positive initiative. Recovery of debts to the State .. RECOVERY OF SALARY COSTS, ETC. .. Section 9 of the Act provides for Treasurer's Directions to be issued from time to time. Rate Recovery and Financial Hardship Policy Review - Adopted 8 .. Sections 180 and 181 of the Act. These recovery methods include legal action .. to provide clear parameters to Council, Council Staff and the Debt Recovery .. The Fines Act 1996 also applies and establishes a State Debt Recovery Office. A fine is a monetary penalty and is noted in Acts as a number of penalty units. Copyright and Disclaimer - State Debt Recovery Office - The Fines ..
Office of State Revenue, State Debt Recovery .. The material is subject to copyright under the Copyright Act 1968 (Cth) and it is owned by the ..
Debt recovery : a practical guide / presented by Alex Marshall. Author: Marshall, Alex LLB; Subjects: Debtor and creditor - South Australia. ; Collection laws ..
Law and Safety > Courts (Law) > Fines .. The FRU offers a case-managed debt recovery system, focused on assisting clients to manage their financial ..
the payment was received in good faith and recovery of the debt would cause the .. The debt must be waived under section 97(3) of the FA(Admin)Act if the FAO ..
Law, rulings & policy ... Tax debt collection process. Tax debt collection has undergone substantial improvements. Drivers behind this are: ..
of the Crimes Act 1900 .. Please send your completed form to the State Debt Recovery Office, PO Box A2571 .. and other debts from the liabilities column below. Application to Waive Enforcement Order Costs - State Debt ..
of the Crimes Act 1900. ∎ Restriction imposed by the NSW Roads and Traffic Authority or any other actions taken against you by the State Debt Recovery Office ..
- Application of the unit, This unit may apply to debt recovery management in all .. interpret and apply appropriate legislation and common law; implement ..
Debt Management Policy - Community Services Directorate - ACT .. Vacated debt. Where a former tenant has a debt to Housing ACT the debt is referred to a debt collection agency, after the tenancy is terminated. operates the Insurance Law Service, a national service assisting consumers .. aware of one bank, and a number of debt collectors who use ..
Making Payments Using Centrepay Deductions - State Debt ..
the State Debt Recovery Office (SDRO) can arrange to have the payments deducted from .. Your personal information is protected by law. Centrelink may give ..
3. OBJECTIVES. • Fulfill all statutory requirements of the Local Government Act with .. Ensure transparency and probity in Council's debt recovery procedures. Role Identification Title Debt Recovery Officer Classification AO4 .. Subcontractors Charges Act. 2. Investigate failed businesses and other debts where there is evidence of impropriety or illegality. 3. Undertake debt recovery of ..
5 days ago – Security and Investigation Agents Act 1995. Schedule of ... (A or B) Serve legal process. FNSMERC402 (A or B) Initiate legal recovery of debts .. This is consistent with the common law position that collection expenses are not normally recoverable for debt recovery. NLA recommends that ..
7 February 2011 NSW Law Reform Commission RE: Penalty .. The New South Wales Law Reform Commission (NSWLRC) is in Ihe process of .. State Debt Recovery Office (SDRO) in NSW. One of the ..
HOW TO RECOVER A DEBT - Legal Services Commission of South ..
HOW TO. RECOVER. A DEBT. A DO-IT-YOURSELF GUIDE FOR CREDITORS. D. E. 2 .. MCLAS is a joint initiative of the University of Adelaide Law School and ..
ADMINISTRATION OF JUSTICE ACT. Act No. 42, 1924. Law Procedure Act, 1890, the Supreme Court. Procedure Act, 1900, the Inter-state Debts. Recovery Act, 1901, the Interpleader Act,. 1901, the District Courts Act, .. COMMENTS ON LAYOUT, DEFINITIONS AND GLOSSARY The ..
CUSCAL submission on ACCC/ASIC Draft Debt Collection Guideline .. than the ASIC Act 2001 and the Trade Practices Act 1974 as it also addresses laws ..
Court Services Division, WA Ministry of Justice, Civil Judgment Debt Recovery System: Part I – Legislative Recommendations (June 1997). 6. Law Reform ..
Sets out the procedure to apply for an order for payment of a judgment debt by instalments under the Judgment Debt Recovery Act 1984. (5) A reference in this Act to a right of action to recover land includes a reference .... (3) Where a right of action has accrued to recover a debt or other liquidated ..
Debt Recovery, 13 6330, Talk to us about repayment of a Centrelink debt. Disability, Sickness and Carers, 13 2717, Enquiries about Disability .. This Act contains rules about how public money and property are .... Recovery of debts ................................................30. 48 ..
looking for more information on an area of the law, the Legal Information Access Centre can help – see .. related to consumer credit, banking and debt recovery. If you are an employee of the Department of Education and Training, you will be able to access Financial Management Practice Manual - Debt Recovery Adobe ..
WCQ3211 Debt recovery services. Issued by .. WorkCover Queensland is seeking up to two suppliers for debt recovery legal services. Web Links and Legislation. Fines Victoria · Judgement Debt Recovery Act 1984 · Penalty Interest Rates Act 1983 · Sheriff Act 2009. Return to normal view .. Contents (1996 - 99). Fines Act 1996 No 99 .. 1 Name of Act · 2 Commencement .. 50 Appeal against refusal of application by State Debt Recovery Office ..
by T Prenzler - 2001 - - Sam is a Lecturer in the School of Law, University of Tasmania. Finally .. investigators' in generic terms, including process servers and debt recovery agents. Setting up your own debt recovery procedure can result in getting your .. Find a lawyer by contacting the Law Society or the Law Institute in your state or territory. An amount of money that must be paid to a government authority, usually the State Debt Recovery Office, when a law or rule is disobeyed. Also referred to as ..
11-107AD ASIC alleges debt collection group engaged in ..
Publications > Media Centre > ASIC alleges debt collection group .. Investments Commission Act or the Trade Practices Act by engaging in ..
Legal Services Commission of South Australia - Law for Community ..
Legal & Court System; Communication & Interviewing; Legal Aid & Legal research; Consumer Law; Debt Recovery; Bankruptcy; Working with Aboriginal Clients ..
Other Useful Sites - State Debt Recovery Office - The Fines Division ..
DEBTS Many of us go through a time when we cannot afford to .. They may do any or all of the following: • make a report to the credit rating agency. • send letters demanding payment. • have a debt collection agency to recover ..
Law Enforcement Ombudsman, to investigate conduct and practices of .... continued or debt recovered suspended while a review of decision is ..
Debt collection options | Business and industry | Queensland ..
Debt collection services include debt collectors, minor debt claims and .. By law, a debt collector cannot threaten to have the debtor sent to jail, .. Section 47 of FMA Act imposes on the Commissioner an obligation to pursue recovery of debts owing to the Commonwealth. This obligation is subject to some ..
Department of Treasury - ACT Government .. ACT Revenue Office. > .. In addition, this section administers the debt recovery function for all ..
Debt collection agencies. Members asked to receive information regarding tax agents' position under Privacy Act 1988 in providing taxpayers' ..
Debt Recovery. The New South Wales Sheriff's Office can serve and enforce various orders of a Court or Tribunal. You should seek advice from the Court staff ..
Trove - Are the commissioner's debt recovery powers excessive .. Accordingly a taxpayer may be forced to defend debt recovery and perhaps .. l4ZZM and 14ZZR in the light of general principles of administrative law and recent ..
Lawlink NSW: 1. The Community Law Reform Program and this ..
1.12 In May 1976 the Australian Law Reform Commission received a reference on reform of debt recovery procedures. The federal reference ..
Australian Law Reform Commission .. the impact of privacy laws on the ability of individuals to establish, pursue or defend legal rights, such as in debt recovery. 22 May 2009 The Relevant officer Australian Consumer Law ..
PARKES ACT 2600. Dear Sir/ Madam .. Other forms of debt collection do not deliver these outcomes to the same extent as debt sale. Debt sale ..
- 4.2 Plans to pursue debt recovery or to initiate legal action are developed in accordance with company policy .. advice to supervisors/managers/legal officers ..
Any proposals for changes in the law are matters for government and it is .. at the relevant time, to deal with a tax-related debt recovery matter. Policy Name: Extension of Credit and Debt Recovery POL-0058 V02 .. The policy for recovery of rates debts .. Local Government Act 1993. 4. FaCS Annual Report 2000-01 > Part Three: Management and .. The Social Security Legislation Amendment (Concession Cards) Act .. and Veterans' Affairs Legislation Amendment (Debt Recovery) Act 2001 ..
Business Victoria - Starting and Managing a Business - Improving ..
Debt collection is an acceptable way to recover money owed to a business. Since the law protects consumers from unfair or intimidating debt collection practices ..
(b) the State Debt Recovery Office has extended the time for payment of a fine, .. who is granted a first extension of time under this Act for payment of the fine, ..
local and international law firms in Australia and overseas. *. Mediation .. areas as contract disputes, debt recovery, insurance (including panel work), workplace ..
of the operation of the State Debt Recovery Office (SDRO) and be improved as .. The ILC has a number of specific projects covering different areas of law and a ..
From 1 November 2011, the Neighbourhood Disputes Resolution Act 2011 .. recovering a debt from a neighbour as a result of minor overhanging branch ..
Defence Legal Home .. Professional Rules for Defence Legal Officers .. Coronial Inquests; Debt Recovery; Compensation Claims; Aircraft Noise Complaints .. The law governing bankruptcy is contained in the Bankruptcy Act 1966 (Cth). .. budget, negotiate with your creditors, explain debt recovery ..
- In Victoria, section 12 of the Judgment Debt Recovery Act 1984 provides an instalment order cannot be made against a judgment debtor whose income is ..
Where the statement of claim is for the recovery of a debt, the Legal ... requirement of the Service & Execution of Process Act 1992 (Cth) in your ..
Can I use the Contractors Debts Act to recover payment? The claimant may also use the Contractors Debts Act 1997, where the claimant is a subcontractor .. Taxation Administration Amendment (Recovery Of Tax Debts) Act ..
(1) This Act may be cited as the Taxation Administration Amendment (Recovery of Tax Debts) Act 1986. (2) The Taxation Administration Act 1953 *1* is in this Act ..
.. infringement images phone the State Debt Recovery Office on 1300 138 118 or .. NSW under the Road Transport (Safety and Traffic Management) Act 1999. All or part of a debt may be waived where circumstances make debt recovery .. Act reference: SSAct section 1237AAD Waiver in special circumstances, section ..
An Act to amend the Fines Act 1996 to make further provision with respect .. Debt Recovery Office is to rely on that assessment when deciding ..
Law Handbook Home; Chapters A-F .. Postal industry;; Taxation disputes with the Australian Taxation Office (including debt recovery actions, ..
consider the legal recoverability of debt and approve write-off .. 47(1) of the FMA Actthe legal recoverability of the debt and/or whether the debt ..
Child Support Agency: The Guide | 5.1.4: Collection of arrears .. Section 18A, 28A Child Support (Registration and Collection) Act 1988 .. the unpaid amounts become a child support debt and CSA will vary ..
Debt Recovery – Clarity Needed In Regard To 12BH(J). 4 .. Submission 22nd May 2009 on The Australian Consumer Law: Consultation on draft provisions on ..
Repeal: The Act was repealed by sec 5 of this Act with effect from 1.4.2010. .. (1B) The State Debt Recovery Office must not make a court fine ..
Commercial/Property Law (Litigation) Practice Group .. related advice; managing large debt recovery work for a range of Government agencies ..
bankruptcy procedures as a debt collection process. 21. The limitations under the law on a creditor using bankruptcy notices to recover debts ..
Deputy Premier acknowledges “fine” collection - Ministerial Media ..
Deputy Premier acknowledges “fine” collection. The State Penalties Enforcement Registry (SPER) has had another massive year of debt recovery in 2010-11. .. if you break the law you are expected to pay off your debt.” ..
582 of the Local Government Act 1993 (LGA); and b) To provide guidelines to Council staff in the administration and processing of pensioner ..
A debt agreement is a binding agreement between a debtor and .. commits an act of bankruptcy. A creditor .. debt recovery action or enforce a remedy against ..
Consultation Paper 10 (2010) - Penalty notices - Law Reform .. Procedures The State Debt Recovery Office .. A NSW Penalty Notices Act? .. Application of the Young Offenders Act to penalty notice offences ..
State Debt Recovery Office, PO Box A2571, Sydney South 1235. Enquiries 1300 .. provided to third parties with your consent or as required or permitted by law. PS LA 2011/13 - Cross border recovery of taxation debts (As at 14 .. Proceedings by insolvency practitioners, 29. C - The Foreign Judgments Act 1991, 31. D - Mutual assistance in the collection of tax debts, 39. Collecting debts on ..
Register Interstate Judgment (S.E.P.Act - CW). $ 60.00 Entry Of Default Judgment. $176.00. Judgment Debt Recovery Act (by Creditor) $44.00 On Setting Down ..
We are required by law to issue a penalty notice to an elector, who appears to .. The State Debt Recovery Office may issue a penalty notice ..
PS LA 2011/6 - Risk and risk management in the ATO (As at 14 April ..
whether or not to settle defended debt recovery litigation and/or the necessity to test cases to clarify the law where the prospect of recovery is uncertain. In other ..
outstanding debts with the State. Debt Recovery Office (Elliott &. Shanahan Research 2008) .. The common law principle is that an offender should not be fined .. Response to Bankruptcy Legislation Amendment Bill 2009 ..
- The Legal Aid Commission of New South Wales (Legal Aid NSW) is an .. the opportunity to use bankruptcy procedures as a debt collection ..
SCL Andreyev Doman is a small legal firm based in Adelaide, South Australia. .. Succesion, Commercial Dispute Resolution, Tax Law and Debt Recovery. Australian Securities and Investments Commission - Does the new ..
Debt collectors are subject to the National Credit Act if they own the debts they collect. There is a current exemption for debt collectors who ..
- .. (regarding payment eligibility, rate and Social Security debt recovery), and to .. In contrast, a client with a Social Security administrative law and/or criminal ..
No 2 of 2010 - Procedure for appeals of State Debt Recovery Office ..
No 2 of 2010 - Procedure for appeals of State Debt Recovery Office .. enforcement order pursuant to s 50 Fines Act 1996 (an appeal) and, if the ..
An Act to implement A New Tax System by providing assistance to families, and for related .. Expand Part 4—Overpayments and debt recovery ..
40+ items – Keyword Index Act Section Index · SS Guide | FA Guide .. Maximum PPL period, Maximum PPL period start day, maximum ..
Possible scam targeting debt collectors - 27/04/10 .. in complying with the new National Consumer Credit laws, scheduled to commence on 1 July 2010.
Review of Debt Agreements under the Bankruptcy Act 1966 .. based upon its signiﬁcant experience in insolvency and debt recovery matters to .. Collecting taxpayer debt and outstanding employee superannuation ..
Law, rulings & policy ... I will make public the new panel of debt collection agencies after the selection process has been finalised - toward the ..
specialises in Social Security and Family Tax Benefit law, and any problems people may .. legislative provisions relating to the raising and recovery of debts. Consumer Action Law Centre - Submission in Response to the .. The Consumer Action Law Centre (Consumer Action) welcomes the opportunity to .. debts (such as State and Territory judgment debt recovery ..
Entertainment Industry Act Review - NSW Department of Premier ..
April 2011 · Review of the Debt Recovery Process .. The Entertainment Industry Act 1989 (the Act) was introduced to protect performers in their ..
clarify in Subdivision B and C of Division 4 of Part 2 to the Act (that relate .. While the cost of immigration detention is significant, debt recovery ..
JUDGMENT DEBT RECOVERY ACT 1984. No. 10063 of 1984 Version incorporating amendments as at 14 February 2008 TABLE OF PROVISIONS Section ..
Judgment Debt Recovery Act 1984 - SECT 26 Appeals under the .. Items 1 - 13 – General Information The Judgement Debt Recovery Act 1984 was assented to on 15 May 1984 and came into operation on 1 May 1985: Government ..
Judgment Debt Recovery Act 1984 - SECT 14 Procedure for oral ..
Judgment Debt Recovery Act 1984 - SECT 14. Procedure for oral examinations. 14. Procedure for oral examinations (1) Where the court is not satisfied as ..
"Act" includes a Code or other statutory provision of another jurisdiction that .. "approved form" means a form approved by the State Debt Recovery Office for the ..
Judgment Debt Recovery Act 1984 - SECT 7. Instalment agreements. 7. Instalment agreements (1) A judgment debtor or a judgment creditor may at any time ..
Australian Debt Recovery Law 1st edition, 1990; 2nd edition, 2002 (under title Consumer Debt Recovery Law (with Richard Brading and Betty ..
Judgment Debt Recovery Act 1984 - SECT 12 No instalment order if ..
Judgment Debt Recovery Act 1984 - SECT 12. No instalment order if judgment debtor is pensioner etc. 12. No instalment order if judgment debtor is pensioner ..
Rich Text Format - Debts Recovery Act 1830 (Imp). Western Australia. Debts Recovery Act 1830 (Imp). CONTENTS. [1.] Recited Acts repealed 2. 2. For remedying frauds committed ..
Judgment Debt Recovery Act 1984 - SECT 8 Judgment creditor or ..
Judgment Debt Recovery Act 1984 - SECT 8. Judgment creditor or debtor may apply for variation or cancellation of instalment order. 8. Judgment creditor or ..
FAMILY AND COMMUNITY SERVICES AND VETERANS' AFFAIRS .. Schedule 4-- Amendment of the Veterans' Entitlements Act 1999 The amendments to Schedule 4 ensure that action to recover debts under the Veterans' .. FINES ACT 1996 - SECT 117A Disclosure of information by State ..
(1) The State Debt Recovery Office, the Director of the Office, a member of the staff of the Office or any other person engaged in the administration of this Act, may ..
Microsoft Powerpoint - Public Service Act 1922 (Cwlth) protects employees from changes in .. Income tax laws; Superannuation guarantee laws; Workers' compensation laws; Payroll .. FINES ACT 1996 - SECT 49 Determination of applications by State .. FINES ACT 1996 - SECT 49. Determination of .. (1) When dealing with an application for annulment, the State Debt Recovery Office: (a) must annul the penalty ..
Judgment Debt Recovery Act 1984 - SECT 15 Conduct of oral ..
Judgment Debt Recovery Act 1984 - SECT 15. Conduct of oral examinations. 15. Conduct of oral examinations (1) The court shall examine a judgment debtor as ..
the Small Debts Recovery Act, 1912-1957; and for purposes connected therewith. .. Small Debts Recovery (Amendment) Act, 1961." (2) The District Courts Act, ..
Microsoft Powerpoint - Debt Recovery. Chapter 22. Bankruptcy. 2. Vickery & Pendleton Australian Business Law - Compliance & Practice 6e - Pearson Education Australia. Learning ..
To facilitate the recovery of debts, the following is sent to customers .. The act of approving the non-recovery of a debt does not expunge the ..
Banking and Finance in Asia (Formerly Banking and Debt Recovery ..
Banking and Finance in Asia (Formerly Banking and Debt Recovery in Asia) .. the relationship between banks and their customers and the impact of law and ..
Judgment Debt Recovery Act 1984 - SECT 20. Costs. 20. Costs The court or the proper officer of the court (as the case may be) may in proceedings under this .. The following debt policy provides guidance to the School Management for the ... The final step will be to contact a debt collection agency to act upon the debt. Bankruptcy Law: Is It Really Only about Debt- collection? law should be confined to an efficient debt collection process.1. According to Jackson, insolvency law responds to the problem of how to best deal with a group ..
Microsoft Powerpoint - Details of debt  Date debt incurred Debt Collection .. Debt Recovery Process ... The Act sets out 14 acts that could lead to a bankruptcy notice being served. DEBT RECOVERY POLICY. General. This policy provides guidance to the school management for the recovery of all debts due to the. Governing Council. College of Law - Corporate Home .. is a boutique litigation firm which undertakes motor vehicle property damage, debt recovery and commercial dispute claims. 6(2) Current State: All of Act in operation Judgment Debt Recovery Act 1984, No. 10063/1984 Assent Date: 15.5.84 Commencement Date: 1.5.85: Government .. FINES ACT 1996 - AS AT 6 JANUARY 2012 - ACT 99 OF 1996. TABLE OF .. Determination of applications by State Debt Recovery Office 49A. Initiate Debt Recovery: provides a more detailed treatment of work skills, procedures and relevant specialist law required by commercial agents who are .. Associate Degree in Law (Paralegal Studies) - SCU Course Options .. The School of Law and Justice runs a large paralegal program each year and is .. managing a debt recovery practice; conveyancing (see Career Opportunities) ..
Introduction to consumer protection law; debt recovery; insurance and intellectual property. Learning Outcomes. students will develop problem solving skills in .. Bachelor of Commerce 1996 and Bachelor of Laws 1998 .. the stress that goes with dealing in family, criminal and debt-recovery law matters. Debt Recovery Management - Revenue & income - The University of .. The Collection Specialist should be proactive in debt recovery management. Reminder letters should be issued on a monthly basis. If a debt is ..
Microsoft Powerpoint - Trust – A relationship recognised by the law of equity, where a trustee holds property for a beneficiary or beneficiaries. .. Minors - not liable for partnership debts ..
Contract law. - Torts law. - Debt Recovery. The prerequisite for the Diploma in Legal Services is the. Certiﬁcate IV in Legal Services. Career Pathways ..
Hely 1830: [convict service, withdrawal of - press freedom - trial by jury - Crown debt recovery - Law of Extents]. 7/8 = 15. Hall v. Mansfield (No. LAW2104 Business and Consumer Law - University of Southern .. Faculty or Section : Faculty of Business and Law. School or .. Finally, account is taken of the procedures available for debt recovery and consumer bankruptcy. INDUSTRIAL RELATIONS ACT 1996 - AS AT 6 JANUARY 2012 ..
Power to amend application 375. Recovery of amounts ordered to be paid 376. Alternative proceedings for debt recovery in other courts 377. This policy provides guidance to the school management for the recovery of all debts due to .. party. J:\School policies\School Policy\Debt Recovery Policy 2009 doc ... 106A of the Education Act and the Materials and Services Charges .. FINES AMENDMENT (WORK AND DEVELOPMENT ORDERS) ACT .. SCHEDULE 1 – Amendment of Fines Act 1996 No 99 .. (4) The State Debt Recovery Office may, at any time, require the approved person or persons who .. Teaching interests/Units taught, Business Law Insolvency and Debt Recovery Administrative Law Law for Managers Introduction to Commercial ..
Debt Collection and Recovery : Financial Services : University of .. Location: Scrivener Building, 27 Thynne St, Bruce, ACT, 2617 .. The prime responsibility of debt collection remains with the respective ..
by B KERCHER - - Australian creditors and collectors and the Australian law's reaction to that use. The American and British experience with abusive debt collection and the legal .. The University will take further steps to recover outstanding debts which may include referral to the University's debt collection agency to initiate .. Teaching interests/Units taught, Business Law Insolvency and Debt Recovery Administrative Law Law for Managers Introduction to Commercial Law Marketing .. Fines Act 1996 FINES REGULATION 2005 - Made under the Fines ..
State Debt Recovery Office may waive, postpone or refund costs and fees 7. .. on 1 September 2005 by section 10 (2) of the Subordinate Legislation Act 1989. PAID PARENTAL LEAVE AND OTHER LEGISLATION .. This Schedule makes minor amendments to that Act, including clarification regarding debt recovery, the provision of notices, and the delegation of the ..
Banking and Finance in Asia (Formerly Banking and Debt Recovery in Asia) #. # Chinese Law #. # Chinese Tax and Investment Law. # Commercial Law in Asia .. Topics covered are chosen from the laws regulating the financing .. credit; guarantees; bankruptcy and insolvency law, and debt recovery. 110+ items – Only WorldLII Catalog >> Courts & Case-Law. All WorldLII .. Associate Degree in Law (Paralegal Studies) - SCU International .. Appropriate debt collection procedures have been developed to ensure adequate .. Debt Recovery procedures and dispute resolution of overdue student ..
McLeod 1831: [imprisonment for debt, opposition to - insolvency] ... of judgment - reception of English law, debt recovery- Supreme Court, .. FINES ACT 1996 - SECT 73 Order to garnishee debts, wages or ..
(1) The State Debt Recovery Office may make an order that all debts due and .. Local Court under Part 8 of the Civil Procedure Act 2005 and, for that purpose: ..
by C Cook - 2010The following information updated regularly as the School of Law is .. work on a diverse range of files including debt recovery, lease disputes, ..
debt by following efficient invoicing procedures and debt recovery actions. 2.1 The school .. the Education Act (SAG 1972 106A(5)) the Principal may negotiate ..
FMPM 271 Accounts Receivable - Procedure (Debt Management .. The non recovery has been authorised by an Act (eg Bankruptcy Act); or. The Director, Financial and Business Services is satisfied that the debt ..
CONTRACT CLEANING INDUSTRY (PORTABLE LONG SERVICE ..
Name of Act 2. .. Declaration by Minister-coverage of Act 9. .. Disclosure of information Division 4 - Proceedings for offences and debt recovery ..
Banking and Finance in Asia (Formerly Banking and Debt Recovery in Asia) #. # Banking and Finance Law: Principles and Transactions (Formerly Law of ..
Debt collection / Revenue & Accounts Payable / Services & Facilities .. The process used varies according to the amount of the debt. The University employs the services of an external debt collection agency to act on its behalf in ..
Limit on deductions where debt write offs and debt/equity swaps occur 63G. ... Collection etc. of interest Subdivision D--Accruals system of taxation of certain ..
taking into account amendments up to Act No. .... 23DZZH Debt recovery where proprietor fails to inform patient that premises or base not ..
Act not to apply so as to exceed Commonwealth power 3B. .. Act to extend to certain Territories 7A. ... of civil penalty provisions Subdivision E--Liability and recovery of amounts 140S. .. Notice regarding amount of debt or other amount 140U. Banking and Finance in Asia (Formerly Banking and Debt Recovery in Asia) LAWS70056 · Banking and Finance Law: Principles and ..
Total Time Commitment: Visit the Melbourne Law Masters website for more .. Managing debt recovery and insolvency litigation in Asia; The ..
WATER INDUSTRY COMPETITION AMENDMENT ACT 2011 ..
(g) An activity referred to in Part B or C of the Table to section 68 of the Act if it ... (e) the licensee's code of practice for debt recovery from small retail customers, ..
Unit 8 Debt recovery & bankruptcy: Topic 7 Statutory order of ..
Unit 8 Debt recovery & bankruptcy: Topic 7 Statutory order of payment .. in full in the order which they appear in section 109 of the Bankruptcy Act 1966 (Cth). Judgment Debt Recovery Act 1984 - SECT 18 Instalment order may ..
Judgment Debt Recovery Act 1984 - SECT 18. Instalment order may be confirmed, varied or cancelled. 18. Instalment order may be confirmed, varied or ..
Commercial Collection Services. Wed 18 Jan. Paralegals, 1st & 2nd year law students to assist with legal section in debt recovery matters. - In accordance with the Education (General Provisions) Act 2006, the cost of providing .. An unpaid fee will be subject to the school's debt collection processes. He practiced in family, criminal, debt recovery and property law. Alastair is also a member of the Deakin Commerce, School of Law and Golden ..
Unit 8 Debt recovery & bankruptcy: Topic 5 Steps in bankruptcy ..
Unit 8 Debt recovery & bankruptcy: Topic 5 Steps in bankruptcy .. the court, the creditor must first establish that the debtor has committed an 'act of bankruptcy'. collection and reporting of moneys owed to the University by Trade Debtors, excluding .. often invites slow payment, bad debts and the associated costs of legal ... Law. (ii) All University Departments must use the Official University invoice .. FINES ACT 1996 - As at 6 January 2012 - Act 99 of 1996 TABLE OF ..
Disclosure of information by State Debt Recovery Office 117B. Confidentiality 118. Registration of fine enforcement orders PART 9 - MISCELLANEOUS 119. Act .. Statute Law Revision Act 2007 No. 28 of 2007 table of provisions ..
33 Judgment Debt Recovery Act 1984 Sch. Sections 23, 27 and 28 are repealed. 34 Judicial Salaries Act 2004 Parts 3 and 4 are repealed. Banking and Finance in Asia (Formerly Banking and Debt Recovery in Asia) (2012) · International Financial Transactions: Law and Practice ..
Judgment Debt Recovery Act 1984 - SECT 5. Initial instalment order. 5. Initial instalment order (1) A court, in giving judgment, may of its motion or on the ..
Advanced Diploma of Legal Practice at Swinburne University of ..
Law clerk (litigation debt recovery, property, mortgage recovery); Legal probate clerk; Conveyance clerk; Conveyance; Corporate law clerk; Mortgage clerk .. FINES AMENDMENT (WORK AND DEVELOPMENT ORDERS) BILL .. This is a Bill, not an Act. For current law, see the Acts databases. .. 17 (4) The State Debt Recovery Office may, at any time, require the 18 approved person or ..
COUNTY COURT (COURT FEES) ORDER 2001 S.R. No. 157/2001 ..
</pre> This Order is made under section 28 of the County Court Act 1958 .. or 8 of the Judgment Debt Recovery Act 1984 or for the filing by a judgment creditor .. The following information updated regularly as the School of Law is notified of .. a diverse range of files including debt recovery, lease disputes, proceedings in .. Periodically, individual debt will be assessed for risk of debt recovery and the .. of Action Act 1958, RMIT may legally enforce recovery of the debts at a later date ..
Health Records and Information Privacy Act policy and strict .. COLLECTION OF YOUR CHILD'S. INFORMATION .. for billing and debt recovery. • to pastoral ..
.. NSW Road Transport (Safety and Traffic Management) Act 1999, which govern parking within the University. .. State Debt Recovery Office .. FINES ACT 1996 - SECT 65 When enforcement action taken under ..
Garnishee notices--relationship with other laws 189. Legal proceedings and garnishee notices--time limits for debt recovery 190. Payment of debts by ..
by IB MEYERING - core component of a just legal response' to domestic violence. In particular, the .. However, the recent trend towards debt recovery from perpetrators may have ..
A free duty lawyer service is provided at large courts and tribunals across .. debt recovery, estate matters including wills, government disputes, ..
To work in the debt collection industry in NSW you need to be licensed by the .. prescribed under the Commercial Agents & Private Inquiry Agents Act 2004, and .. FINES ACT 1996 - SECT 75 .. (1) The State Debt Recovery Office may issue an examination summons under this section for the purpose of enabling ..
University Policies - Search for Policies - Salary Wages One Off ..
"Debt Recovery" means Financial Services debt recovery processes for repayment of monies owed to the University which, following ..
An Act to regulate Government advertising; and for other purposes. [Assented ... certificate,. (c) determining whether to take debt recovery action and the taking .. The State Debt Recovery Office processes parking infringements issued .. Road Transport (General) Act 1999 (as amended from time to time). Associate Degree in Law - Paralegal Studies - myfuture: Australia's .. Associate Degree in Law - Paralegal Studies .. commercial transactions; managing a debt recovery practice; conveyancing; designing and operating databases; ..
appropriate, the University may employ the services of a debt recovery agency and may pursue legal action to recoup any outstanding debts. 6.12.50 Salary, Wages and Allowances Overpayments Recovery ..
Financial Services, as part of administering University debtors, will engage the services of a Debt Collection Agency where appropriate. FINES ACT 1996 - SECT 66 Suspension or cancellation of driver .. FINES ACT 1996 - SECT 66 .. (a) where the State Debt Recovery Office has granted the fine defaulter an extension of time for payment of the fine, the fine .. BAIL ACT 1978 - SECT 53J .. (a) if paid before a copy of the order is referred to the State Debt Recovery Office, to the registrar of the court by which the order ..
Act No 35, 1998. An Act to amend the Fines Act 1996 in relation to the enforcement of fines ... suspend the licence if the State Debt Recovery Office so directs • .. Sponsorship Management Procedure - Policy Central - Macquarie .. Engage Debt Collector Forward debts equal to or greater than $100 to the University Debt Collector for recovery after assessment by Assistant ..
- 2. Creditors and Debtors. · Law of Debt Recovery. · Credit policy. · Debt recovery process. As above. Resource manual. Barron chp 16. As above. Case study. 51 of the Education (General Provisions) Act 2006 in order to administer the Student .. may result in debt recovery action being undertaken including, where ..
Debt recovery where proprietor fails to inform patient that premises or base not registered 23DZZI. .. Appointment of person to act in place of member 71. Designed for legal assistants, secretaries, law clerks and paralegals, these workshops .. Thursday, 19 July 2012, Debt Recovery - a practical guide (July 2012) .. Please make sure you read the Parking Rules .. Government State Debt Recovery Office (SDRO). .. management) act 1999 Traffic and parking controls ..
Banking and Finance in Asia (Formerly Banking and Debt Recovery in Asia) · Banking and Finance Law: Principles and Transactions (Formerly ..
Master of Banking and Finance Law 526 - law school - University of ..
by IA Law - I . The Law. Debt collectors (called "commercial agents" in statutory language) must be licensed in all Australian jurisdictions except the A.C.T. and the Northern ..
section 51 of the Education (General Provisions) Act 2006 in order to administer .. result in debt recovery action being undertaken including, where warranted, ..
.. the National Consumer Credit Code (NCCC) by enacting it as Commonwealth law. .. The course covers: - Debt recovery; - Risk management strategies; - Legislation; .. Credit officer, collection officer, team leader or supervisor providing an ..
Banking and Finance in Asia (Formerly Banking and Debt Recovery in Asia) #; Banking and Finance Law: Principles and Transactions ..
Debt collection and legal proceedings. The University may do any or all of the following: list the student's debt with a credit reporting agency; refer the debt to a ..